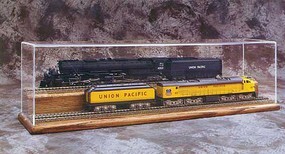 Shop online for 15 american-plastics model trains at discounts up to 16%. This is the Display Case for HO or HOn30 - 18long x 5high x 3'' wide from American Plastics. This is the HO Scale Terrain for Trains Layout - Timber Ridge - Painted 5' X 8' from American Plastics. This is the N Scale Rocky Ridge Extension for High Sierra Layout - Terrain for Trains - Painted - 48 x 30'' from American Plastics. 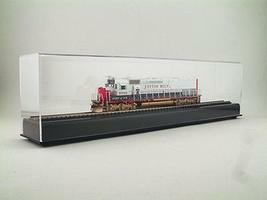 This is the N Scale Terrain for Trains Layout - Smoky Hollow Junction - Painted - 48 x 30'' (2 Train Operation) from American Plastics. This is the HO Scale Terrain for Trains Layout - Tunnel Addition - Painted from American Plastics. This is the N Scale Terrain for Trains Layout - The Quarry - Painted 48 X 30 (Extension for High Sierra) from American Plastics. This is the N Scale Terrain for Trains Layout - High Sierra - Unpainted 48 X 30 from American Plastics. 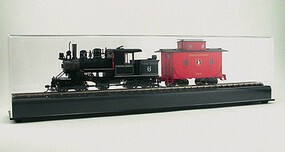 This is the HO Scale Train Display Case with Wood Base (Oak) less Track - 18'' from American Plastics. This is the HO Scale Terrain for Trains Layout - Timber Ridge - Unpainted 5 x 8' from American Plastics.